Free Will — A Slave! This is one of the great guns of the Arminians, mounted upon the top of their walls, and often discharged with terrible noise against the poor Christians called Calvinists. I intend to spike the gun this morning — or, rather, to turn it on the enemy, for it was never theirs; it was never cast at their foundry at all — but was intended to teach the very opposite doctrine to that which they assert. Secondly, that he is entirely free. Now, we shall have no such divisions — but we will endeavor to take a more calm look at the text; and not, because there happen to be the words "will," or "will not" in it, run away with the conclusion that it teaches the doctrine of free-will. It has already been proved beyond all controversy that free-will is nonsense. Freedom cannot belong to will — any more than ponderability can belong to electricity. They are altogether different things. Free agency we may believe in — but free-will is simply ridiculous. The will is well known by all, to be directed by the understanding, to be moved by motives, to be guided by other parts of the soul, and to be a secondary thing. Philosophy and religion both discard at once the very thought of free-will; and I will go as far as Martin Luther, in that strong assertion of his, where he says, "If any man ascribes anything of salvation, even the very least, to the free-will of man — he knows nothing of grace, and he has not learned Jesus Christ aright." It may seem a harsh sentiment; but he who in his soul believes that man does of his own free-will, turn to God — cannot have been taught of God, for that is one of the first principles taught us when God begins with us, that we have neither will nor power — but that he gives both; that he is "Alpha and Omega" in the salvation of men. First, that every man is dead, because it says: "You will not come to me, that you might have life." Secondly, that there is life in Jesus Christ: "You will not come to me, that you might have life." Thirdly, that there is life in Christ Jesus for every one that comes for it: "You will not come to me, that you might have life;" implying that all who go will have life. And fourthly, the gist of the text lies here, that no man by nature ever will come to Christ, for the text says, "You will not come to me, that you might have life." So far from asserting that men of their own wills ever do such a thing, it boldly and flatly denies it, and says, "You WILL NOT come to me, that you might have life." Why, beloved, I am almost ready to exclaim: Have all free-willers no knowledge — that they dare to run in the teeth of inspiration? Have all those that deny the doctrine of grace, no sense? Have they so departed from God that they wrest this to prove free-will; whereas the text says, "You WILL NOT come to me that you might have life." No being needs to go after life if he has life in himself. The text speaks very strongly when it says, "You will not come unto me, that you might have life." Though it says it not in words — yet it does in effect affirm that men need a life more than they have themselves. My hearers, we are all dead — unless we have been begotten unto a living hope. First, we are all of us, by nature, LEGALLY dead. "In the day that you eat thereof, you shall surely die," said God to Adam. Though Adam did not die in that moment naturally, he died legally; that is to say death was recorded against him. As soon as, at the court, the judge puts on the black cap and pronounces the sentence — the man is reckoned to be dead at law. Though perhaps a month may intervene before he is brought on the scaffold to endure the sentence of the law — yet the law looks upon him as a dead man. It is impossible for him to transact anything. He cannot inherit, he cannot bequeath; he is a dead man. The country considers him not as being alive in it at all. There is an election — he is not asked for his vote because he is considered as dead. He is shut up in his condemned cell, and he is dead. Ah! and you ungodly sinners who have never had life in Christ, you are alive this morning, by reprieve — but do you know that you are legally dead; that God considers you as such, that in the day when your father Adam took the fruit, and when you yourselves did sin — God, the Eternal Judge, put on the black cap and condemned you? You talk mightily of your own social standing, and goodness, and morality — where is it? Scripture says, you are "condemned already." You are not to wait to be condemned at the judgment-day — that will be the execution of the sentence — you are "condemned already." In the moment you sinned; your names were all written in the black book of justice; every one was then sentenced by God to death, unless he found a substitute, in the person of Christ, for his sins. What would you think if you were to go into the prison, and see the condemned culprit sitting in his cell, laughing and merry? You would say, "The man is a fool, for he is condemned, and is to be executed — yet how merry he is." Ah! and how foolish is the worldly man, who, while the sentence is recorded against him, lives in merriment and mirth! Do you think the sentence of God is of no effect? Do you think that your sin which is written with an iron pen on the rocks forever, has no horrors in it? God has said that you are condemned already. If you would but feel this, it would mingle bitters in your sweet cups of joy! Your dances would be stopped, and your laughter quenched in sighing — if you would recollect that you are condemned already. We ought all to weep, if we lay this to our souls: that by nature we are dead in sin in God's sight; we are actually, positively condemned! Death is recorded against us, and we are considered in ourselves now, in God's sight, as much dead as if we were actually cast into Hell. We are condemned here by sin, we do not yet suffer the penalty of it — but it is written against us, and we are legally dead, nor can we find life unless we find legal life in the person of Christ — of which we will say more by-and-by. Secondly, besides being legally dead, we are also SPIRITUALLY dead. For not only did the sentence pass in the book — but it passed in the heart; it entered the conscience; it operated on the soul, on the judgment, on the imagination, and on everything. "In the day that you eat thereof — you shall surely die," was not only fulfilled by the sentence recorded — but by something which took place in Adam. Just as, in a certain moment, when this body shall die, the blood stops, the pulse ceases, the breath no longer comes from the lungs — so in the day that Adam ate that fruit, his soul died. His imagination lost its mighty power to climb into celestial things and see Heaven. His will lost its power always to choose that which is good. His judgment lost all ability to judge between right and wrong decidedly and infallibly, though something was retained in conscience. His memory became tainted, liable to hold evil things, and let righteous things glide away. Every power of him ceased as to its moral vitality. Goodness was the vitality of his powers — that departed. Virtue, holiness, integrity, these were the life of man — but when these departed, man became dead in sin. And now, every man, so far as spiritual things are concerned, is "dead in trespasses and sins" spiritually. Nor is the soul less dead in a carnal man — than the body is when committed to the grave. It is actually and positively dead — not by a metaphor, for Paul speaks not in metaphor, when he affirms, "You has he quickened, who were dead in trespasses and sins." But my hearers, again, I would I could preach to your hearts concerning this subject. It was bad enough when I described death as having been legally recorded; but now I speak of it as having actually taken place in your hearts! You are not what you once were — you are not what you once were in unfallen Adam — not what you were created. Man was made pure and holy. You are not the perfect creatures of which some boast — you are altogether fallen, you have gone altogether out of the way, you have become absolutely corrupt and filthy. Oh! Do not listen to the siren song of those who tell you of your moral dignity, and your mighty elevation in matters of salvation. You are not perfect and holy. That great word, "ruin," is written on your heart — and death is stamped upon your spirit. Do not conceive, O moral man, that you will be able to stand before God in your morality, for you are nothing but a carcass embalmed in legality, a corpse arrayed in some fine robes — but still corrupt in God's sight. And do not think, O you possessor of natural religion! that you may by your own might and power make yourself acceptable to God. Why, man! you are dead! And you may array the dead as gloriously as you please — but still it would be a solemn mockery. There lies queen Cleopatra — put the crown upon her head, deck her in royal robes, let her sit in state; but what a cold chill runs through you when you pass by her. She is fair now, even in her death — but how horrible it is to stand by the side even of a dead queen, celebrated for her majestic beauty! In the same way, you may be glorious in your beauty — fair, and amiable, and lovely; you put the crown of honesty upon your head, and wear all the garments of uprightness — but unless God has quickened you, O man! unless the Spirit has had dealings with your soul — you are in God's sight as obnoxious as Cleopatra's ashen corpse is to yourself! You would not choose to live with a corpse sitting at your table — nor does God desire that you should be in his sight. He is angry with you every day, for you are in sin — you are in death. Oh! believe this; take it to your soul; appropriate it, for it is most true that you are dead, spiritually as well as legally. The third kind of death is the consummation of the other two. It is ETERNAL death. It is the execution of the legal sentence — it is the consummation of the spiritual death. Eternal death is the death of the soul — it takes place after the body has been laid in the grave, after the soul has departed from it. If legal death be terrible — it is because of its consequences. If spiritual death be dreadful — it is because of that which shall follow it. The two deaths of which we have spoken are the roots — and that death which is to come is the flower thereof. Oh! had I words that I might this morning attempt to depict to you what eternal death is. The soul has come before its Maker; the book has been opened; the sentence has been uttered, "Depart from Me, you who are cursed, into the eternal fire prepared for the devil and his angels!" has shaken the universe, and made the very spheres dim with the frown of the Creator — the soul has departed to the depths where it is to dwell with others in eternal death. Oh! how horrible is its position now. Its bed is a bed of flame; the sights it sees are murdering ones that affright its spirit; the sounds it hears are shrieks, and wails, and moans, and groans; all that its body knows is the infliction of miserable pain! It has the possession of unutterable woe, of unmitigated misery. The soul looks up. Hope is extinct — it is gone. It looks downward in dread and fear — remorse has possessed its soul. It looks on the right hand — and the adamantine walls of justice keep it within its limits of torture. It looks on the left — and there the rampart of blazing fire forbids the scaling ladder of e'en a dreamy speculation of escape. It looks within and seeks for consolation there — but a gnawing worm has entered into the soul. It looks around it — it has no friends to aid, no comforters — but tormentors in abundance. It knows nothing of hope of deliverance; it has heard the everlasting key of destiny turning in its prison door — and it has seen God take that key and hurl it down into the depth of eternity never to be found again! It cannot hope — for there is no escape — there is no deliverance. It pants for death — but death is too much its foe to be there. It longs that non-existence would swallow it up — but this eternal death is worse than annihilation. It pants for extermination — it longs that it might be swallowed up in nothingness, just as would the galley slave long for freedom. But it does not come, for it is eternally dead. When eternity shall have rolled round multitudes of its everlasting cycles — it shall still be dead. Forever knows no end. Eternity cannot be reckoned — except in eternity. Still the soul sees written over its head, "You are damned forever!" It hears howlings that are to be perpetual. It sees flames which are unquenchable. It knows pains that are unmitigated. It hears a sentence that rolls not like the thunder of earth which soon is hushed — but onward, onward, onward, shaking the echoes of eternity — making thousands of years shake again with the horrid thunder of its dreadful sound, "Depart! Depart! Depart from Me, you who are cursed, into the eternal fire prepared for the devil and his angels!" This is the eternal death! II. Secondly, IN CHRIST JESUS THERE IS LIFE, for he says: "You will not come to Me that you might have life." There is no life in God the Father for a sinner — apart from Jesus. There is no life in God the Spirit for a sinner — apart from Jesus. The life of a sinner, is in Christ alone. If you take the Father apart from the Son, though he loves his elect, and decrees that they shall live — yet life is only in his Son. If you take God the Spirit apart from Jesus Christ, though it is the Spirit that gives us spiritual life — yet it is life in Christ, life in the Son. We dare not, and cannot apply in the first place, either to God the Father, or to God the Holy Spirit for spiritual life. The first thing we are led to do when God brings us out of Egypt is to eat the Passover Lamb — the very first thing. In the same way, the first means whereby we get life, is by feeding upon the flesh and blood of the Son of God — living in him, trusting on him, believing in his grace and power. We will show you there are three kinds of life in Christ — just as there are three kinds of death. First, there is LEGAL life in Christ. Just as every man by nature considered in Adam, had a sentence of condemnation passed on him in the moment of Adam's sin, and more especially in the moment of his own first transgression — so I, if I am a believer, and you, if you trust in Christ — have had a legal sentence of acquittal passed on us through what Jesus Christ has done. O condemned sinner! You may be sitting this morning condemned like the prisoner in Newgate prison; but before this day has passed away — you may be as clear from guilt as the angels above. There is such a thing as legal life in Christ — and, blessed be God! some of us enjoy it. We know our sins are pardoned — because Christ suffered punishment for them. We know that we never can be punished ourselves — for Christ suffered in our stead. The Passover Lamb is slain for us; the lintel and door-post have been sprinkled, and the destroying angel can never touch us. "There is now no condemnation for those who are in Christ Jesus!" For us there is no Hell, although it blazes with terrible flame. Christ died for us, in our stead. What if there are racks of horrid torture? What if there is a sentence producing most horrible reverberations of thundering sounds? Yet neither rack, nor dungeon, nor thunder — are for us! In Christ Jesus we are now delivered. Sinner! Are you legally condemned this morning? Do you feel that? Then, let me tell you that faith in Christ will give you a knowledge of your legal acquittal. Beloved, it is no dream that we are condemned for our sins — it is a reality. So, it is no dream we are acquitted — it is a reality. A man about to be hanged, if he received a full pardon — would feel it a great reality. He would say, "I have a full pardon; I cannot be touched now." That is just how I feel. Brethren, we have gained legal life in Christ, and such legal life that we cannot lose it. The sentence has gone against us once-now it has gone out for us. It is written, "There is now no condemnation for those who are in Christ Jesus" — and that now will do as well for me in fifty years, as it does now. Whatever time we live it will still be written, "There is now no condemnation for those who are in Christ Jesus!" Secondly, there is SPIRITUAL life in Christ Jesus. As the man is spiritually dead — God has spiritual life for him, for there is not a need which is not supplied by Jesus. There is not an emptiness in the heart which Christ cannot fill. There is not a desolation which he cannot people. There is not a desert which he cannot make to blossom as the rose. O you dead sinners! spiritually dead — there is life in Christ Jesus. For we have seen — yes, these eyes have seen the dead live again! We have known the man whose soul was utterly corrupt — by the power of God, seek after righteousness. We have known the man whose views were carnal, whose lusts were mighty, whose passions were strong — suddenly, by irresistible might from Heaven, consecrate himself to Christ, and become a child of Jesus. We know that there is life in Christ Jesus, of a spiritual order; yes, more, we ourselves, in our own persons, have felt that there is spiritual life. Well can we remember when we sat in the house of prayer — as dead as the very seat on which we sat. We had listened for a long, long while to the sound of the gospel, but no effect followed — when suddenly, as if our ears had been opened by the fingers of some mighty angel, a sound entered into our heart. We thought we heard Jesus saying, "He who has ears to hear — let him hear." An irresistible hand put itself on our heart and crushed a prayer out of it. We never had a prayer before like that. We cried, "O God! Have mercy upon me a sinner!" Some of us for months felt a hand pressing us as if we had been grasped in a vice, and our souls bled drops of anguish. That misery was a sign of coming life. When people are drowning, they do not feel the pain so much as while they are being restored. Oh! we recollect those pains, those groans, that living strife that our soul had when it came to Christ. Ah! we can recollect the giving of our spiritual life — as easily as could a man his restoration from the grave. We can suppose Lazarus to have remembered his resurrection, though not all the circumstances of it. So we, although we have forgotten a great deal — do recollect Christ giving us life. We can say to every sinner, however dead — there is life in Christ Jesus, though you may be rotten and corrupt in your grave. He who has raised Lazarus, has raised us; and he can say, even to you, "Lazarus! come forth!" In the third place, there is ETERNAL life in Christ Jesus. And, oh! if eternal death is most terrible — then eternal life is most blessed; for he has said, "Where I am — there shall my people be." "Father, I will that they also, whom you have given unto me — be with me where I am, that they may behold my glory!" "I give unto my sheep eternal life, and they shall never perish — ever!" Now, any Arminian that would preach from this text must buy a pair of India rubber lips, for I am sure he would need to stretch his mouth amazingly; he would never be able to speak the whole truth without winding about in a most mysterious manner. Eternal life — not a life which they are to lose — but eternal life. If I lost life in Adam — then I gained it in Christ. If I lost myself forever — then I find myself forever in Jesus Christ. Eternal life! Oh blessed thought! Our eyes will sparkle with joy and our souls burn with ecstasy in the thought that we have eternal life. Be quenched you stars! — let God put his finger on you! — but my soul will live in bliss and joy. Put out your eye O sun! — but my eye shall "see the king in his beauty" when your eye shall no more make the green earth laugh. And moon, be you turned into blood! — but my blood shall never be turned to nothingness; this spirit shall exist when you have ceased to be. And you great world! you may all subside, just as a moment's foam subsides upon the wave that bears it — but I have eternal life. O time! — you may see giant mountains dead and hidden in their graves; you may see the stars like figs too ripe, falling from the tree — but you shall never, never see my spirit dead! III. This brings us to the third point — that ETERNAL LIFE IS GIVEN TO ALL WHO COME FOR IT. There never was a man who came to Christ for eternal life, for legal life, for spiritual life — who had not already received it, in some sense, and it was manifested to him that he had received it soon after he came. Let us take one or two texts. "He is able to save to the uttermost those who come unto him." Every man who comes to Christ, will find that Christ is able to save him — not able to save him a little, to deliver him from a little sin, to keep him from a little trial, to carry him a little way and then drop him — but able to save him . . .
unto the uttermost duration of his existence! Christ says to every one who comes to him, "Come, poor sinner, you need not ask whether I have power to save. I will not ask you how far you have gone into sin — for I am able to save you to the uttermost." There is no one on earth can go beyond God's "uttermost." Now another text: "Him who comes to me, [mark the promises are nearly always to the coming ones] I will never cast out." Every man who comes, shall find the door of Christ's house opened — and the door of his heart also. Every man that comes — I say it in the broadest sense — -shall find that Christ has mercy for him. The greatest absurdity in the world is to want to have a wider gospel than that recorded in Scripture. I preach that every man who believes shall be saved — that every man who comes shall find mercy. People ask me, "But suppose a man should come who was not chosen — would he be saved?" You go and suppose nonsense — and I am not going to give you an answer. If a man is not chosen — then he will never come. When he does come — then it is a sure proof that he was chosen. Says one, "Suppose anyone should go to Christ who had not been called of the Spirit." Stop, my brother, that is a supposition you have no right to make, for such a thing cannot happen! You only say it to entangle me. I say every man who comes to Christ shall be saved. I can say that as a Calvinist — as plainly as you can say it. I have no narrower gospel than you have — only my gospel is on a solid foundation; whereas yours is built upon nothing but sand and rottenness. "Every man that comes shall be saved — for no man comes to me unless the Father draws him." "But," says one, "suppose all the world should come — would Christ receive them?" Certainly, if all came; but then they won't come. I tell you that all who come — yes, if they were as bad as devils, Christ would receive them. If they had all sin and filthiness running into their hearts as into a common sewer for the whole world — Christ would receive them! Another says, "I want to know about the rest of the people. May I go out and tell them, "Jesus Christ died for every one of you?" May I say, "There is righteousness for everyone of you, there is life for every one of you?" No — you may not. You may say that there is life for every man that comes. But if you say there is life for one of those that do not believe — then you utter a dangerous lie. If you tell them Jesus Christ was punished for their sins, and yet they will be lost — then you are telling a willful falsehood. To think that God could punish Christ for their sins — and then punish them also for their sins; I wonder at your daring to have the impudence to say so! A good man was once preaching that there were harps and crowns in Heaven for all his congregation; and then he wound up in a most pathetic manner: "My dear friends, there are many for whom these things are prepared who will not get there." In fact, he made such a pitiful tale, as indeed he might do. But I tell you who he ought to have wept for — he ought to have wept for the angels of Heaven and all the saints, because that would spoil Heaven thoroughly! You know when you meet at Christmas, if you have lost your brother David and his seat is empty, you say: "Well, we always enjoyed Christmas — but there is a drawback to it now — poor David is dead and buried!" Think of the angels saying: "Ah! this is a beautiful Heaven — but we don't like to see all those crowns up there with cobwebs on. We cannot endure to see that uninhabited street. We cannot endure to see behold yonder empty thrones." And then, poor souls, they might begin talking to one another, and say, "We are none of us safe here — for the promise was, 'I give unto my sheep eternal life' — and there are a lot of them in Hell whom God gave eternal life to! There is a number whom Christ shed his blood for burning in the pit! If they may be sent there — then so may we. If we cannot trust one promise — then we cannot another." So Heaven would lose its foundation, and fall. Away with your nonsensical gospel! God gives us a safe and solid one — built on covenant doings and covenant relationship, on eternal purposes and sure fulfillments! IV. This brings us to the fourth point, that BY NATURE NO MAN WILL COME TO CHRIST, for the text says, "You will not come to me, that you might have life." I assert on Scripture authority from my text — that you will not come unto Christ that you might have life. I tell you, I might preach to you forever, I might borrow the eloquence of Demosthenes or of Cicero — but you will never come unto Christ. I might beg of you on my knees, with tears in my eyes, and show you the horrors of Hell and the joys of Heaven, the sufficiency of Christ, and your own lost condition — but none of you would come unto Christ of yourselves — unless the Spirit would draw you. It is true of all men in their natural condition, that they will not come unto Christ. But, methinks I hear another of these babblers asking a question: "But could they not come if they liked?" My friend, I will reply to you another time. That is not the question this morning. I am talking about whether they will come — not whether they can come. You will notice whenever you talk about free-will, the poor Arminian, in two seconds begins to talk about ability — and he mixes up two subjects which should be kept apart. We will not take two subjects at once; we decline fighting two at the same time, if you please. Another day we will preach from this text, "No man can come — unless the Father draws him." But it is only the will we are talking of now — and it is certain that men will not come unto Christ, that they might have life. We might prove this from many texts of Scripture — but we will take one parable. You remember the parable where a certain king had a feast for his son, and bade a great number to come; the oxen and fatlings were killed, and he sent his messengers bidding many to the supper. Did they go to the feast? Ah, no! But they all, with one accord, began to make excuses. One said he had married a wife, and therefore he could not come — whereas he might have brought her with him. Another had bought a yoke of oxen, and went to test them — but the feast was in the night-time, and he could not test his oxen in the dark. Another had bought a piece of land, and wanted to see it — but I do not think he went to see it with a lantern. So they all made excuses — and would not come. Well, the king was determined to have the feast; so he said, "Go out into the highways and hedges, and invite them" Stop! not invite, "compel them to come in;" for even the ragged fellows in the hedges would never have come unless they were compelled. Take another parable: A certain man had a vineyard; at the appointed season he sent one of his servants for his rent. What did they do to him? They beat that servant. He sent another — and they stoned him. He sent another — and they killed him. And, at last, he said, "I will send them my son, they will respect him." But what did they do? They said, "This is the heir — let us kill him, and cast him out of the vineyard!" So they did. It is the same with all men by nature. The Son of God came — yet men rejected him. "You will not come to me — that you might have life." It would take too much time to mention any more Scripture proofs. We will, however, refer to the great doctrine of the fall. Anyone who believes that man's will is entirely free, and that he can be saved by it — does not believe the fall. As I sometimes tell you, few preachers thoroughly believe the doctrine of the fall, or else they think that when Adam fell — he broke his little finger, and did not break his neck and ruin the human race! Why, beloved, the fall broke man up entirely. It did not leave one power unimpaired — they were all shattered, and debased, and tarnished. Like some mighty temple, the pillars might be there, the shafts and the columns might be there; but they were all broken, though some of them retain their form and position. The conscience of man sometimes retains much of its tenderness — still it has fallen. The will, too, is not exempt. What though it is "the Lord Mayor of Mansoul," as Bunyan calls it? The Lord Mayor goes wrong. The Lord Will-be-will was continually doing wrong. Your fallen nature was put all out of order — your will, among other things, has clean gone astray from God. But I tell you what will be the best proof of that; it is the great fact that you never did meet a Christian in your life who ever said he came to Christ — without Christ first coming to him. 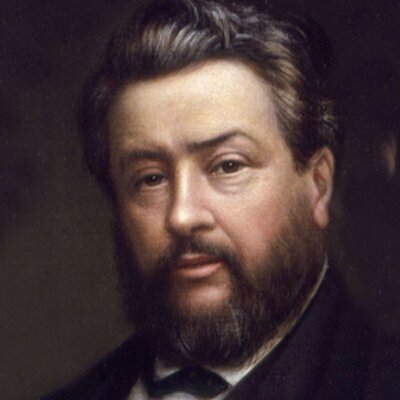 "Lord, I thank you I am not like those poor presumptuous Calvinists. Lord, I was born with a glorious free-will; I was born with power by which I can turn to you of myself; I have improved my grace. If everybody had done the same with their grace that I have–they might all have been saved. Lord, I know You do not make us willing, if we are not willing ourselves. You give grace to everybody; some do not improve it, but I do. There are many who will go to Hell as much bought with the blood of Christ as I was; they had as much of the Holy Spirit given to them; they had as good a chance, and were as much blessed as I am. It was not Your grace that made us to differ; I know it did a great deal — still I turned the point! I made use of what was given to me, and others did not — that is the difference between me and them." That is a prayer for the devil — for nobody else would offer such a prayer as that! Ah! when they are preaching and talking very slowly — there may be wrong doctrine; but when they come to pray — the true thing slips out; they cannot help it. If a man talks very slowly, he may speak in a fine manner; but when he comes to talk fast, the old brogue of his country, where he was born, slips out. I ask you again, did you ever meet a Christian man who said, "I came to Christ without the power of the Spirit?" If you ever did meet such a man, you need have no hesitation in saying, "My dear sir, I quite believe it — and I believe you went away again without the power of the Spirit, and that you know nothing about the matter, and are in the gall of bitterness and the bond of iniquity!" And will not let me go!" Then, one more question. Do we not find, even after we have come to Christ, our soul is not free — but is kept by Christ? Do we not find times, even now, when to will is not present with us? There is a law in our members, warring against the law of our minds. Now, if those who are spiritually alive feel that their will is contrary to God — then what shall we say of the man who is "dead in trespasses and sins"? It would be a marvelous absurdity to put the two on a level; and it would be still more absurd to put the dead before the living. No! the text is true, experience has branded it into our hearts: "You will not come to me — that you might have life." Now, we must tell you the reasons why men will not come unto Christ. The first is, because no man by nature thinks he needs Christ. By nature man conceives that he does not need Christ; he thinks that he has a robe of righteousness of his own, that he is well-dressed, that he is not naked, that he needs not Christ's blood to wash him, that he is not black or crimson, and needs no grace to purify him. No man knows his need of Christ — until God shows it to him. Until the Holy Spirit reveals the necessity of pardon — no man will seek pardon. I may preach Christ forever — but unless you feel you need Christ — you will never come to him. A doctor may have a good shop — but nobody will buy his medicines, until he feels he needs them. The next reason is, because men do not like Christ's way of saving them. One says, "I do not like it — because he makes me holy. I cannot drink or swear if he saved me." Another says, "It requires me to be so precise and puritanical — and I like a little more license to sin." Another does not like it because it is so humbling. He does not like it because the "gate of Heaven" is not quite high enough for his head, and he does not like stooping. That is the chief reason you will not come to Christ, because you cannot get to him with your heads straight up in the air — for Christ makes you stoop when you come. Another does not like it to be grace from first to last. "Oh!" he says, "If I might have a little honor." But when he hears it is all Christ — or no Christ, a whole Christ — or no Christ, he says, "I shall not come," and turns on his heel and goes away. Ah! proud sinners — you will not come unto Christ. Ah! ignorant sinners — you will not come unto Christ, because you know nothing of him. And that is the third reason. Men do not know his worth, for if they did, then they would come unto him. Why did not sailors go to America before Columbus went? Because they did not believe that there was an America. Columbus had faith, therefore he went. He who has faith in Christ goes to him. But you don't know Jesus — you have never seen his beauteous face! You never saw how applicable his blood is to a sinner, how great is his atonement; and how all-sufficient are his merits. Therefore, "you will not come to him — that you may have life." And oh! my hearers, my last thought is a solemn one. I have preached that you will not come. But some will say that, "it is their sin, that they do not come." YES IT IS! You will not come — but then your will is a sinful will. We do not set man's inability to come to Christ down as being part of man's original nature — but as belonging to his fallen nature. It is sin that has brought you into this condition that you will not come. If you had not fallen — then you would come to Christ the moment he was preached to you. But you do not come — because of your sinfulness and crime. People excuse themselves because they have bad hearts. That is the most flimsy excuse in the world. Do not robbery and thieving come from a bad heart? Suppose a thief should say to a judge, "I could not help it — I have a bad heart." What would the judge say? "You rascal! Why, if your heart is bad — then I'll make the sentence heavier, for you are a villain indeed. Your excuse is nothing." The Almighty shall "laugh at them — and shall have them in derision." We do not preach this doctrine to excuse you — but to humble you. The possession of a bad nature is my fault — as well as my terrible calamity. It is a sin that will always be charged on men; when they will not come unto Christ — it is sin that keeps them away. He who does not preach that, I fear is not faithful to God and his conscience. Go home, then, with this thought; "I am by nature so perverse that I will not come unto Christ — and that wicked perversity of my nature is my sin. I deserve to be sent to Hell for it!" And if the thought does not humble you, the Spirit using it — then no other can. This morning I have not preached human nature up — but I have preached it down. May God humble us all. Amen.